Have you ever heard of biodynamic products? These are products that have been created with the highest level of environmental oversight — items that are grown and produced free of synthetic pesticides, genetically modified organisms (GMOs), and other materials that can be damaging to the product or the environment in which they are grown. This is the approach adopted by SEKEM, a company that uses biodynamic practices to produce sustainable food, textiles, and herbal pharmaceuticals. The ultimate goal is to make human development sustainable. 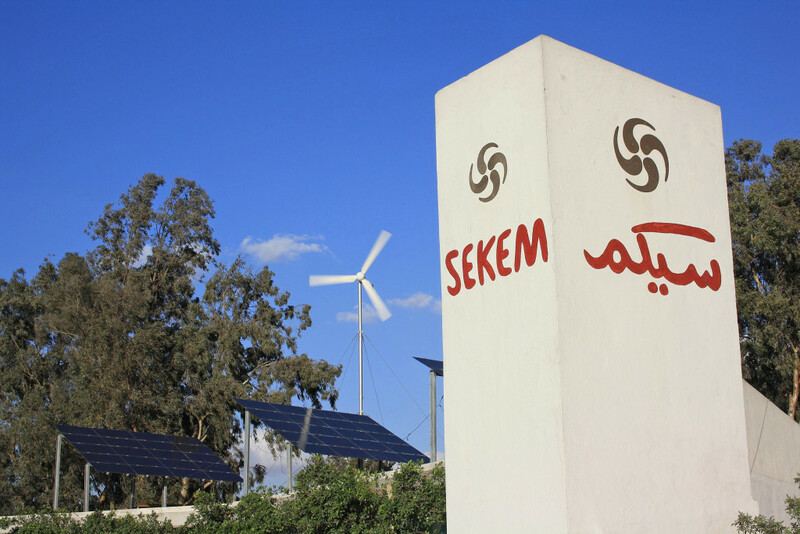 Founded in 1977 by Dr. Ibrahim Abouleish, SEKEM has evolved from a biodynamic farm to a holding of companies that produce and distribute sustainable food, textile, and pharma-products. At its core, each company values sustainable development principles and the wellbeing of the community. Celebrating 40 years in 2017, SEKEM now employs more than 1,350 people in its companies, foundation, and amongst its seasonal workers. Its products are sold in Egypt, the Gulf Coast countries, and locations in the United States and Germany. SEKEM’s core activity is growing biodynamic and organic products at specialized farms. The company cultivates nearly 17,000 acres of agricultural land, contributing to the creation and preservation of a delicate Egyptian ecosystem. The land where the companies work is desert area that has been recovered through composting. SEKEM’s farms host more than 60 birds species, 90 varieties of trees and shrubs, and a broad range of small animals, including hedgehogs, lizards, snakes, mongoose, and foxes. The company integrates economic, social, cultural, and ecological activity, believing that everyone benefits if areas thrive in balance. Pls, SEKEM supports its employees’ development through a wide variety of on-the-job training. This includes an adult learning institute, a non-profit university, and a vocational training centre. Gender equality is also an important tenet of the company. In recognition of its role promoting women’s rights, SEKEM was awarded the 2009 Gender Equality Award by the UN Development Fund for Women. SEKEM’s products have high added value and respect the integrity of nature. It does this by transforming biodynamic and organically-grown produce in medicinal products, textiles, and processed food. Its 1,350 workers do not only benefit from above-average wages, but also from investments made into the local community. The SEKEM Development Foundation runs many community-oriented projects, including a kindergarten, school, university, vocational training centre, laboratories, a medical centre, and programs for disadvantaged children.